Do you ever get an idea in your head that you think will be SUPER awesome, but then you do it and it's kinda meh? That was this manicure for me. I realized after I'd done it that I should have done the glitter on a light purple. That would have been freaking awesome. 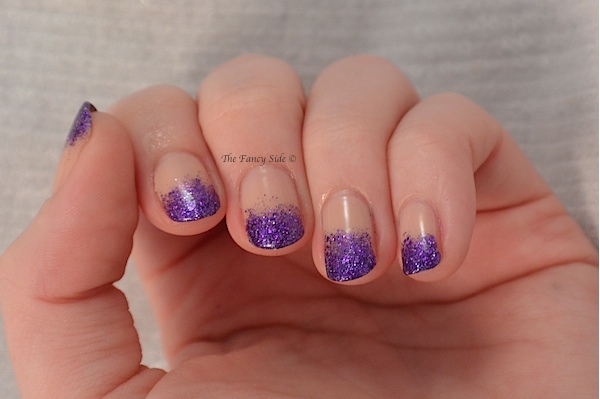 As it was, I still wore this mani for a good chunk of time because glitter (we all know taking off glitter polish was invented by the devil). The base is two coats of OPI Glints of Glinda. Glints of Glinda is so insanely close to my skin color that it is a little freaky. Seriously tell me it isn't? 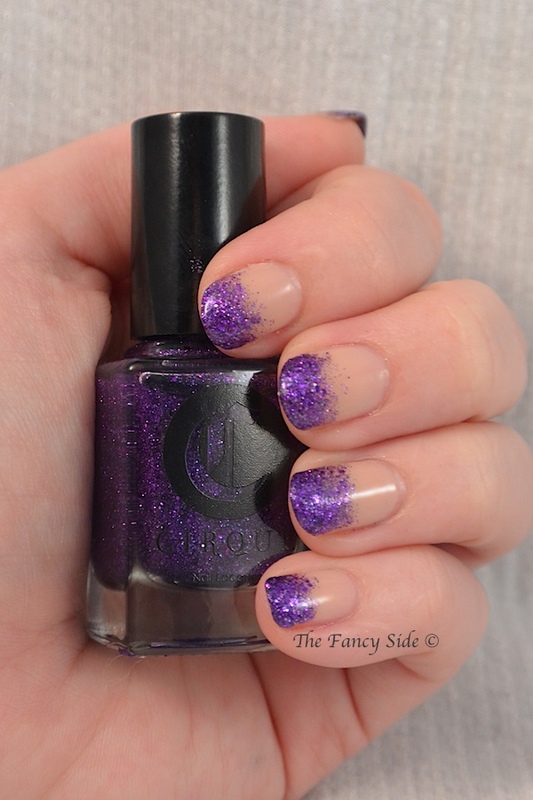 I then sponged on tips using Cirque's Queen Majesty. 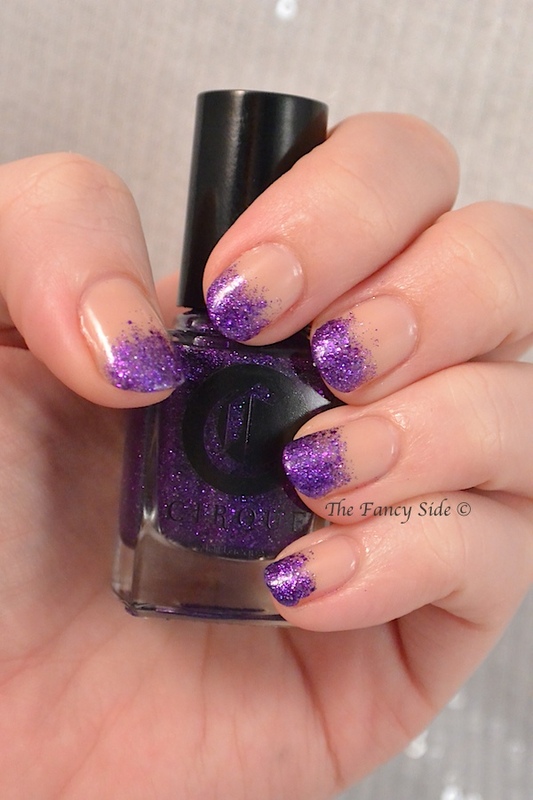 Queen Majesty is a full coverage micro glitter that while predominately purple has these flashes of blue glitter that is amazeballs. Sadly I don't think I accurately captured those blue flashes, but trust me they are there. Do you think the glitter tips would have looked better over a different base color? Which one? Hah it is freakishly close to your skin color. I didn't realize you were wearing a base color at first. Queen's Majesty looks suuuuper gorgeous, it would probably also look good with a medium purple base too. I like it as-is, but I think it would look cute over a robins egg blue/turquoise.